“Tough times do not last but tough people do”. This is so true of Patrick Soon Shiong. His dedication and vision created life changing drugs, redefining practices in healthcare industry. A researcher, surgeon and businessman, Shion was born on 29th July, 1952 in Port Elizabeth, South Africa. He is a surgeon who was born in South Africa but raised American. He is also a professor at the University of California in Los Angeles. It was not particularly to shake off the baggage from where he came to start with new aspirations in United States.With hard work and dedication, Shiong started his own foundation and medical institute. 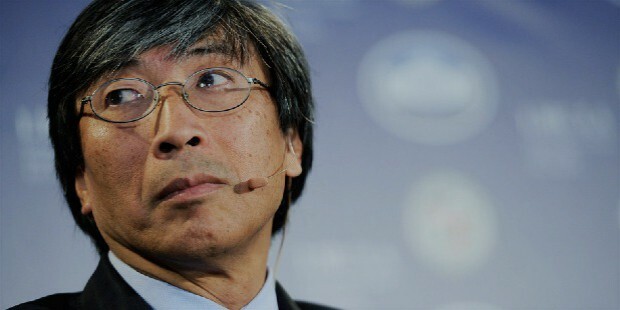 Shiong is currently the CEO and Chairman of Chan Soon-Shiong Institute and Chan Soon-Shiong Family Foundation. He is the Wealthiest man in the health care industry. 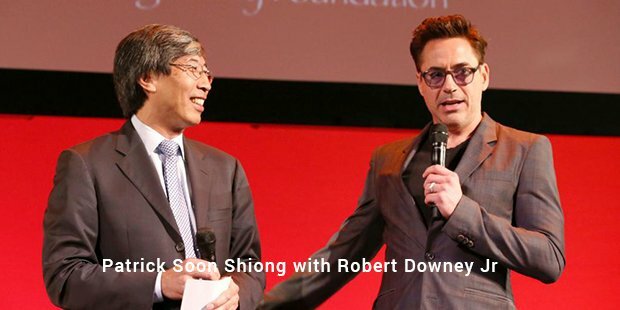 Patrick Soon Shiong with Robert Downey Jr.
Shiong always believed in breakthrough science for mankind. He attempted cell transplantation for treating diabetes in 1980. This led to forming two pharmaceutical companies - American Pharmaceutical Partners and Abraxis, which were later sold off later for $9.1 billion.The medical visionary invented Abraxane, a drug used for treating pancreatic cancer which was very successful. Abraxane became the top medicine for treating cancer shortly. The way forward was full of innovations. He always looked to cure cancer. 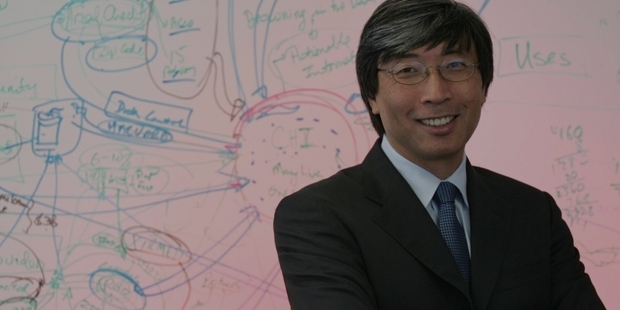 Patrick Soon Shiong founded Nant Works, which works on new cancer therapies. He initially founded Nant Health in the year 2007, an infrastructure that shares information of health care. In the year 2013, he also founded Nant Omics which works to develop cancer drugs. Nant Omics and Nant Health are part of Umbrella Organizations – Nant Works. His work and research towards cancer treatment was recognized by many international and national awards. 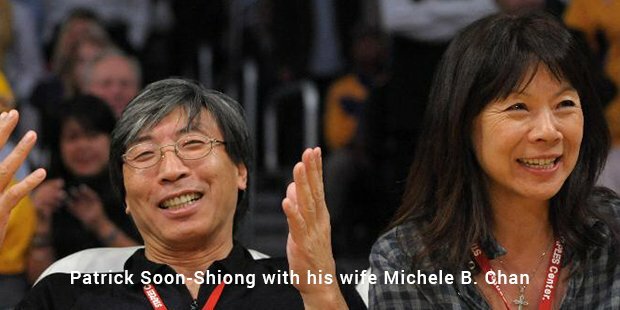 Patrick Soon Shiong is married to Michele B Chan who was an actress. The couple funded many health care projects as part of their Chan Soon-Shiong Family Foundation.Shiong is the member of Giving Pledge. He donated $136 million to St. John’s Health Center of Santa Monica, California and $5 million for patient care development to University of Chicago. He holds 4.5 percent stake of Los Angeles Lakers. Shiong and companies continue to look for newer drugs via research every passing year. 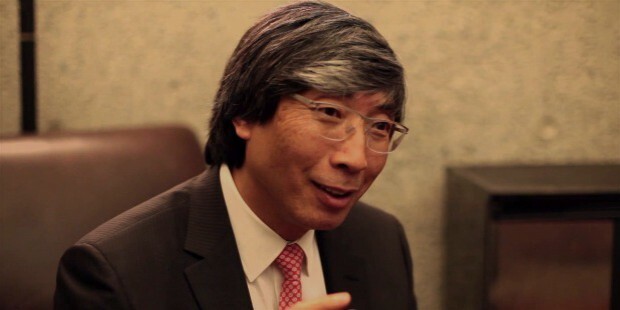 Patrick Soon Shiong’s contribution to mankind is extraordinary. He proved that success comes eventually to those who work zealously towards human causes.